Positioned above the Ertiga as the flagship MUV from Proton, the Exora is one functional looking vehicle which is high on practicality. It might not appeal you with its rather understated design, which makes it feel a bit dated on the outside. Even when you step inside, the hard plastics, all black and lackluster cabin and basic design of the dashboard and center console make it look dated and cheap. However, the Exora tries to put a strong case for itself when it comes to space and seating comfort. Another good aspect is its supple ride quality. The only engine option for the Proton Exora is a 1.6-litre four-cylinder petrol engine, which is coupled to a CVT gearbox and has the capability of producing 140 PS of maximum power output and 205 Nm of peak torque output. Have a question on Exora? Exora is available in 5 different colors - Ruby Red, Cocoa Grey, Elegant Brown, Indiana Grey and Cotton White. Watch latest video reviews of Proton Exora to know about its interiors, exteriors, performance, mileage and more. Proton is the indigenous automobile brand that has a fan following of its own. Since it is a Malaysian brand situated in the country, it understands the needs of the people better than other car manufacturers. As a result, Proton tends to produce vehicles keeping in mind the priorities of the Malaysians. Today, Proton has quite a few offering in its product line-up and one amongst them is the Exora. It is a proper 7-seater. It can be said that the Exora is the elder sibling of the Proton Ertiga. Proton did its homework very well before giving the green light for the Exora to enter the production line. Proton decided to go with an all-black color theme with the interior of the Exora. This gives the cabin a sporty feeling. Otherwise, the interior is quite basic. The three-spoke steering wheel seems to be too big and bulky. Also, the silver touches on its spokes do more harm than good to the looks. The layout of the dashboard is designed to provide a clear view outside. The centre console of the dashboard features a control panel that houses the music system, air con vents, air con controls, and the gear lever. Placing the gear lever in this position allowed Proton to utilize the vacant space at the front. In terms of comfort, the captain seats of the front row provide a good amount of comfort and support to its occupants. There is a separate armrest for each chair. There is also enough room for both the front and second-row passengers. The last row does suffer a bit but it is still good to hold kids. Proton has also provided air con vents for the second and third-row seats which are a boon for the respective occupants in peak summer hours. Proton has also provided a number of cup holders and clever pockets to take care of the storage requirements inside the cabin of the Exora. Talking about the storage, the boot capacity with all the seats upright is 132 liters, which isn’t that practical. However, you can increase the space by folding the seats. The front of the Proton Exora features a set of somewhat triangular headlamps that are quite big. Between them, there is a generous size grille that wears the Proton badge in the centre. The bumper has a few sharp lines and houses fog lamps which act as daytime running lights in the high-end variant. The sloping bonnet or nose of the Exora looks decent and would give a better view of what’s ahead from the inside of the car. The side profile of the Exora looks proportionate thanks to the large windows. There is a prominent character line that travels through the door handles to the rear of the car. The design of the alloy wheels brings a premium touch to the overall appearance. Moving to the rear, the Exora sports a vertical taillight design that, surprisingly, suit its design. The large boot lid seems to be of the correct size considering the large dimensions of the car. There is also a roof-mounted spoiler to add a hint of sportiness. The suspension setup on the Proton Exora is MacPherson Strut with coil spring at the front and Torsion beam with coil spring at the rear. They are tuned to provide a good and comfortable drive. They soak up bumps pretty nicely, however, they aren’t something to be demanded a lot from. The hydraulic assisted steering wheel provide good feedback in all scenarios except when you are pushing too hard or driving too enthusiastically. Powering the 7-seater Exora is a 1.5-liter 4-cylinder engine that has been tuned to provide you with 138 horsepower at 5,000 revs and gives you the responsibility to handle the peak torque of 205 Nm which kicks in at 4,000 revs. The transmission on the Exora is a CVT unit which should give an optimal blend of performance and fuel efficiency. Even with the total weight of the car, the engine of the Exora is capable enough to pull the Exora to a top speed of 160+ km/h, and the 0-100 km/h sprint is achieved in around 15 seconds. The Exora has got disc brakes on all its four wheels. However, the front ones are ventilated whereas the ones at the rear wheels are solid. The braking performance of the Exora is further enhanced by the presence of Anti-lock Braking System (ABS) and Electronic Brake-force Distribution (EBD). Other safety features that you will find in the Proton Exora include dual front airbags (driver and passenger side), electronic stability control, front seatbelt, and load limiter system, and reverse parking sensor. Like we said before, Proton is well aware of the needs and requirements of the Malaysian market than the other car brands and therefore has got an upper hand. It has used its trump card with the Exora to establish a firm grip in the 7-seater segment. While there are other rivals available, the fact that the Exora has come out from an indigenous factory and brand affects the overall sales of the car a lot. The Proton Exora does its job well. It is a no-nonsense vehicle but, just like any other car, it isn’t perfect. There is certainly room for improvements which we are expecting Proton will address and implement in the next iteration. 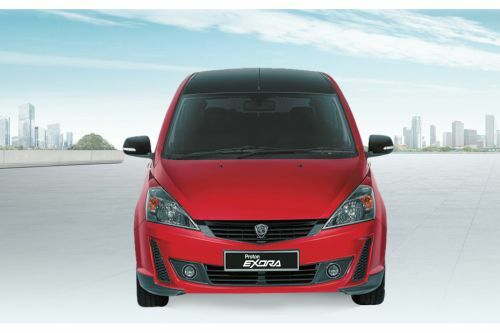 At present, there are two variants of the Proton Exora available in the market - Executive CVT and Executive Plus CVT. The former is priced at RM 62,008 and the latter will set you back by RM 69,347. However, both the variants come in 5 color options - Ruby Red, Cocoa Grey, Elegant Brown, Indiana Grey, and Cotton White. What are the Safety Features Available in Proton Exora?